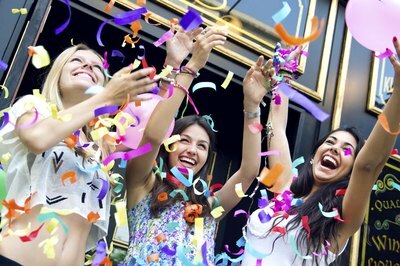 Many young adults count down the years until they turn 21, but moving from your teens to your 20s is also cause for celebration. When you're brainstorming activities to do on your 20th birthday, balance not only your personality type and interests, but also your friends and family who plan to join you for the celebration. Pick activities that ensure you and your group talk about your party for years to come. If you're the active type, invite friends to a day of energy-filled events. Gather your gang for go-karts, mini-golf, paintball, laser tag or rock climbing. Depending on the season and your location, visit the beach, hike, or rent paddle boats or kayaks for a memorable 20th birthday. If your party includes parents or even grandparents, ensure the activities are suitable with mini-golf, hiking, swimming and boating. A scavenger hunt in a park with teams that pair adults and younger adults involves people of all ages. Have a laid-back 20th birthday party if that suits your personality. If you enjoy getting together with just a small group of friends, watch a few of your favorite movies on the big screen at home, or play board games. If most of your friends are childhood friends, digging up the board games you played as kids can create plenty of laughs. A spa day is ideal if you're female; gather your friends and maybe a few mothers, and relax with a day of pampering. A day of playing golf is a simple way to celebrate, and it can involve parents or grandparents if they're golfers too. Celebrate your 20th birthday at a dance club. Although you can't legally gain entrance to many clubs for another year, look for an all-ages establishment in your city. These clubs don't serve alcohol, which ensures that no one in your group of friends drinks and potentially ruins your special day. If you can't find a suitable club, convert your basement into a dance club with a rented music and lights system. As an added twist in honor of your birthday -- and to ensure future head-shaking moments -- visit a thrift shop with your friends and buy funny outfits that don't cost much. Take a trip with some of your friends who are also turning 20. 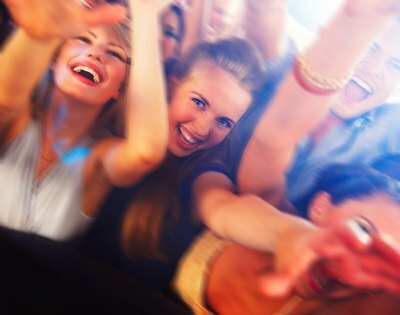 Depending on your budget and interests, save your money in the months leading up to your birthday and travel out of town to see a favorite singer or band in concert. Sports fans might enjoy a road trip to a neighboring city or state to see their favorite team in action. 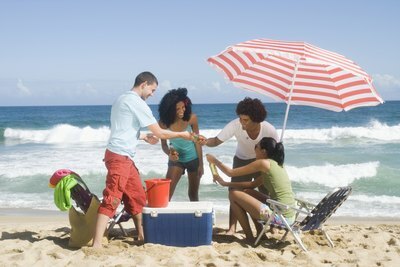 Your parents might insist on chaperoning your trip, so keep that in mind when planning the outing.